Acclaimed South Korean filmmaker Bong Joon-ho is at again with his new thriller Sea Frog which he co-wrote and produced for director Shim Sung-bo. 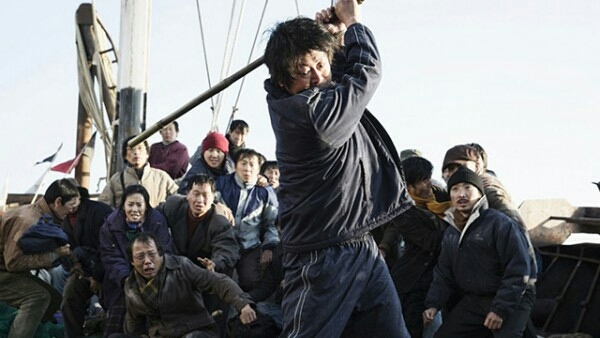 Shim Sung-bo also co-wrote the film with Joon-ho, which tells the story of Captain Kang who takes on a dangerous smuggling job and soon encounters dangerous weather a rebellious crew and antagonist. As far as South Korean film making goes, they are second to none, and they continually raise the bar! If you haven't seen the Host or Snow piercer, I strongly recommend them. Check out the trailer below and sound off in the comments section with your thoughts on the upcoming thriller. Sea Frog has no US release date yet.